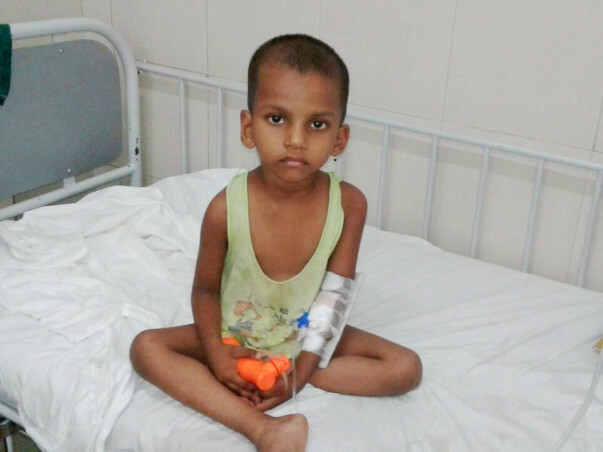 Sai is a 4 year innocent boy who is suffering from Wilm's Tumor( Type Of Cancer). 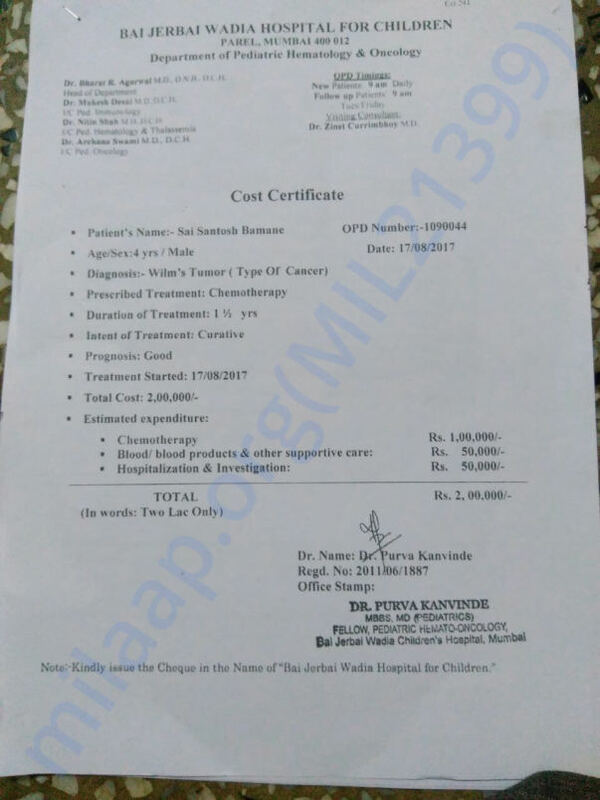 Doctors have prescribed chemotheraphy for the same on urgent basis ,which will cost 200000 rs. Our Financial condition is very weak..need your support for saving this innocent life..please Help.